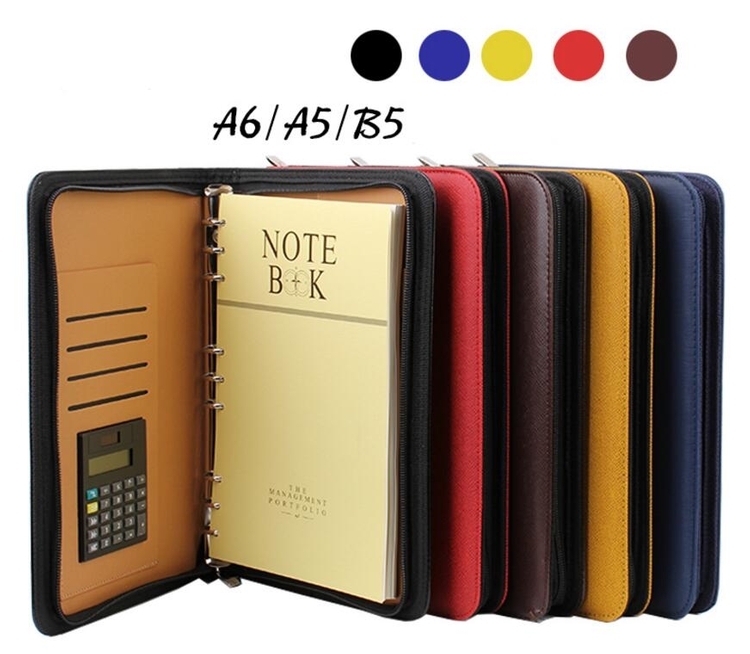 Leather look business loose-leaf notebook with leather cover and zipper closure. A5 size, 120 pages available. There is a hook for pen, several slots for business cards, and a solar powered calculator is inserted. It is very convenient for business. Logo can be debossed. Package: 1 pc/opp bag, 50 pcs/ctn, 65 lbs/ctn.